My mind went through all the reasons this might be happening: burnout, other interests, team dynamics, I was too hard on her, the gamut. What could it be? Sadly, Kate’s story is a common one. It is a tale about well-intentioned parents whom want nothing but the best for their children. They love their kids; they just don’t always love them in a helpful way. 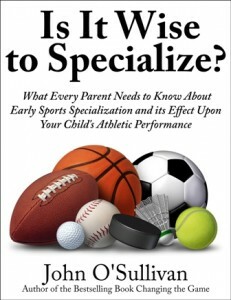 As I have stated here many times, 70% of children are dropping out of organized sports by the age of 13. Whenever I mention this sad statistic, people come out of the wood work saying that it’s only the kids who aren’t good enough to play that quit. They say it’s an age where school, jobs and other interests take precedence. These things are true and contribute to a part of the dropout rate, but they are not the entire picture. 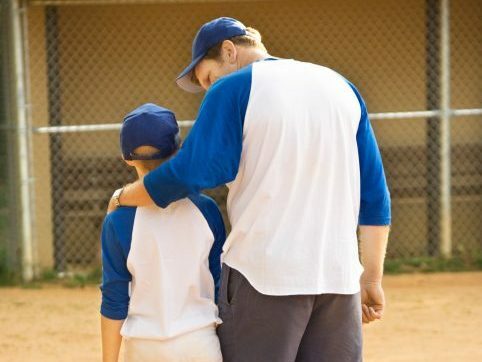 Sadly, in our current state of youth sports, kids and families are asked to do more and more at younger and younger ages, especially the kids who show early aptitude in a sport. Many of these athletes, our most dedicated and talented ones, burnout and drop out as well. We don’t simply lose the kids who cannot make varsity; we lose many of the best athletes on our teams. If you are a parent or a coach, I believe it is critical that we have a good understanding of why kids play, and why they quit. It is also crucial that we have open lines of communication with our athletes, so we can spot some of the red flags and right the ship before it’s too late. I believe there are five main reasons kids walk away from sports, and they all boil down to one common denominator: they cause kids to have a poor state of mind when it comes to sports. I hope you will look at each one of these scenarios and ask yourself “Is this my child?” If the answer is yes, then it is never too late to act and make a change. The #1 reason kids quit is because sports is no longer fun. In a 2014 study for George Washington University, researcher Amanda Visik interviewed numerous youth athletes and asked them why they played sports, and 9 out of 10 said the #1 reason they played was it was fun! The children in the George Washington study defined fun as trying their best, being treated respectfully by coaches, parents and teammates, and getting playing time. They listed eighty-one characteristics of fun, and winning (#48), playing tournaments (#63) and practicing with private trainers (#66) did not finish high on the list. If your young athletes are not having fun, they will eventually walk away, regardless of talent or how good their team or coach is. Adults rarely do voluntary activities such as exercise or community service work that they do not derive enjoyment from. Why do we think our kids will? Solution: Your athletes are never too old, or too talented, to answer the question “Are you enjoying yourself out there?” Ask it! Chances are, the more they enjoy themselves, the better they play, the more they play, and the harder they will work. Michael Jordan had a “love of the game” clause in his professional basketball contracts, allowing him to play pickup whenever he wanted to, because he enjoyed playing so much. IT HAS TO BE FUN! And if it stops being fun, you need to figure out a way to make it fun, or before you know it, early retirement! I believe that that one huge factor that makes sports less fun and leads children to pursue other interests over sport is loss of ownership of the experience. Just like the story of Kate above, millions of kids leave sports and look for a place where their every action and every mistake is not scrutinized by an adult. That is not to say there is not a place for coaching or teaching; but good coaching does not take away autonomy. If you doubt this, then ask yourself “Why does the average teenage boy play 17 hours of video games a week?” A big part of that why is there is no one standing over his shoulder critiquing every move, and demanding that he entertain them. If you find yourself saying “we struck out 10 batters” or “we scored 3 goals” you have not allowed your child to own the experience. If you find yourself coaching your child on every play from the sideline, and telling him to “shoot,” “dribble” or “pass” instead of letting him make his own decisions, you are not helping! You are stealing ownership of the experience from your child, and in the process sucking out the enjoyment. Would it be helpful to have your boss stand over your shoulder and critique everything you do at work? No? Then why do we think it helps our young athletes? Solution: Accept your child’s goals for playing sports (click here to get my parent-child goal setting sheet and watch my video on goal setting). Help them find their passion, instead of trying to determine it for them. 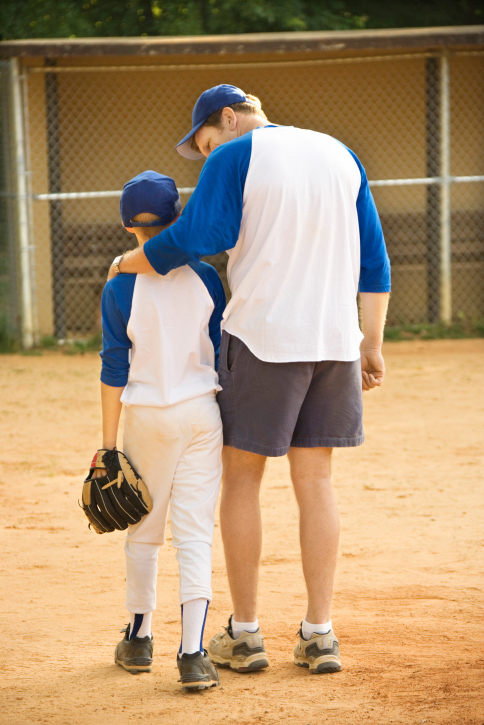 When you are watching your kid’s games, either cheer positively after a play or say nothing at all. Never yell at the referee. If you don’t know what to say, ASK YOUR CHILD! You might be surprised at the answer. If kids are on a team, and they never get to play meaningful minutes or get pulled out after any mistake, they are going to quit! Kids want to play. Kids need to play. It matters little to them how good their team is, or how famous their coach is, if they never get in and contribute to the team. A study by the Josephean Institute found that 90% of children would rather PLAY on a losing team then SIT THE BENCH on a winning team. Our overemphasis on winning at younger ages is creating an all-star culture in elementary school sports that no longer allows children to develop at their own pace. When coaches focus solely on wins and losses, and only play the kids who will help the team win today, coaches drive so many kids out of sports who in the long run would ultimately be better players. 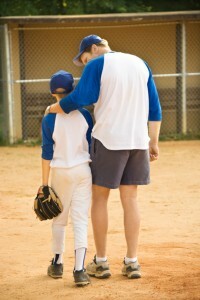 If Major League Manager Mike Matheny could find playing time at all positions for his youth baseball team, you can too. Solution: Coaches, if you pick them, you need to play them, especially at the youngest age groups. And parents, if your child is on a team but never plays meaningful minutes despite coming to all practices and games, ask your child if they are unhappy. If they are, find another team when your commitment is over. The college and professional sports world is full of athletes who were not star players at age 11; many of them were even on the dreaded “B” team. But they got to play, and as a result, they developed athletically, and grew to love the game. No youth trophy is worth not playing. Kids tell us that one of the main reasons they quit is because they are afraid to make mistakes, because they get criticized, yelled at, benched, and more. Great players develop in environments where they do not fear mistakes, where they are encouraged to try and fail, and they are made to understand that failure is a necessary part of the development process. Coaches and parents who keep a running commentary going on the sideline, second guessing every decision and action players take, and yelling at players for trying their best and failing, create a culture of fear that drives players out of the game. Solution: Embrace failure and risk taking in young athletes. Instead of only praising the result of a successful action, start praising what kids do immediately after a mistake. Do they hustle and get the ball back? Do they keep trying to beat their player 1v1? Praise the reaction to failure, and create a safe to fail environment. In the 2014 George Washington study, children listed the top five characteristics of a great coach, and “Respect and Encouragement” came in at #1. I have never met an adult who enjoys being disrespected by his or her friends, family or co-workers, yet go to any sports match and you see numerous examples of children who are being disrespected because they made a bad pass, or missed a shot. I see ridiculous shows like “The Short Game” in which 7 year old golfers are hounded by their caddy-daddy after chunking the same chip that a PGA pro chunked on the weekend. Sports is really hard. It takes thousands of hours and years of practice to become proficient, yet we expect our 9 year old soccer players to make the right decision every time, and our 11 year old baseball players to never make an error. When they make mistakes, many coaches and parents treat their athletes in a way that they would never allow a teacher to treat their kids, or their own boss to treat them. We would never allow kids to come to our sporting events and treat us like we treat them, right? Solution: Follow the Golden Rule: Do unto others as you would have them do unto you. Respect the effort, focus and courage it takes for a child to play sports in our “youth sports as entertainment” culture. Give them the respect they have earned simply for being in the arena. Treat them with the same respect you would demand that you be treated with. Today in the US, and around the world, statistics show that over 70% of children drop out of organized sports by the age of 13. This, in an age with nearly 1/3 of our US children being classified as overweight or obese, is a travesty. The adults involved in youth sports, be they parents, coaches or administrators, have the responsibility to create an environment that serves the needs, values and priorities of the kids, and not just the adults. 70% of children are telling us by quitting that we are failing them. But we can make a change. 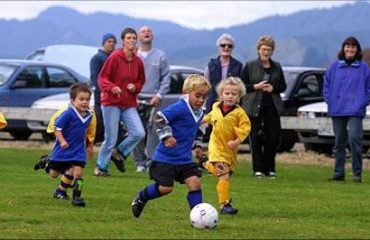 We can help our kids find great sporting environments, and keep them in the game. We can do this by communicating better with our kids, asking them what they want out of the experience, and then letting that experience belong to them. We can do this by treating them with the respect they deserve, and letting them fail in order to learn and develop. We can do this by letting all kids have a safe environment to play. A 70% failure rate may earn you millions of dollars in professional baseball, but it is not serving our kids in youth sports. Let’s change the game, and we all will benefit! Visek, Amanda J. et al., “Fun Integration Theory: Towards Sustaining Children and Adolescents Sport Participation,” Journal of Physical Activity & Health, 2014. It’s always wonderful reading your perspective! Thank you!